Israeli Prime Minister Benjamin Netanyahu said on Monday he was putting on hold an agreement with the UN refugee agency to relocate thousands of African migrants to Western countries. Netanyahu had named Canada, Italy and Germany as some of the nations that would take in the migrants — although those countries appeared not to have been informed of the plan. “This is a unique agreement between the UN commissioner and the state of Israel, that takes 16,250 people out, takes them out to developed countries like Canada, or Germany and Italy — that is the commitment the UN High Commissioner has made — to organize it and even to fund it,” Netanyahu said on live television. 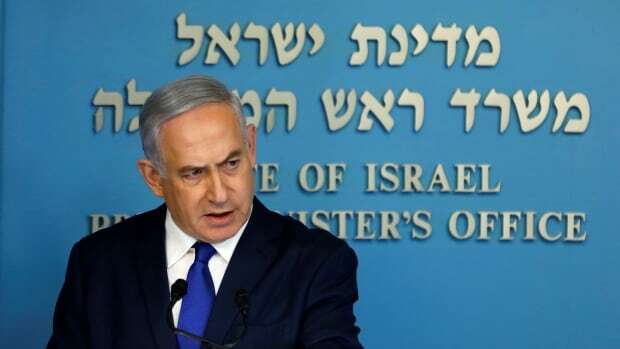 The UN High Commissioner for Refugees (UNHCR) in a statement confirmed an agreement was signed with Israel, but did not name the countries that would accept the migrants. A spokesperson for the German Interior Ministry said he was unaware of any plans to resettle African migrants from Israel to Germany. “Canada has an agreement with us to resettle 10,000 people this year, so we could well imagine that a number of them could come out of Israel, but for the time being there is nothing I can tell you in terms of details with respect to the numbers or the timeframe,” he said. Beuze added private sponsors who have been bringing over Eritrean and Sudanese from Israel will continue to do so. Canada has an arrangement with Israeli authorities to suspend the deportation of individuals who have private sponsorship applications with Canada until they are processed, said Hursh Jaswal, spokesperson for Immigration Minister Ahmed Hussen.